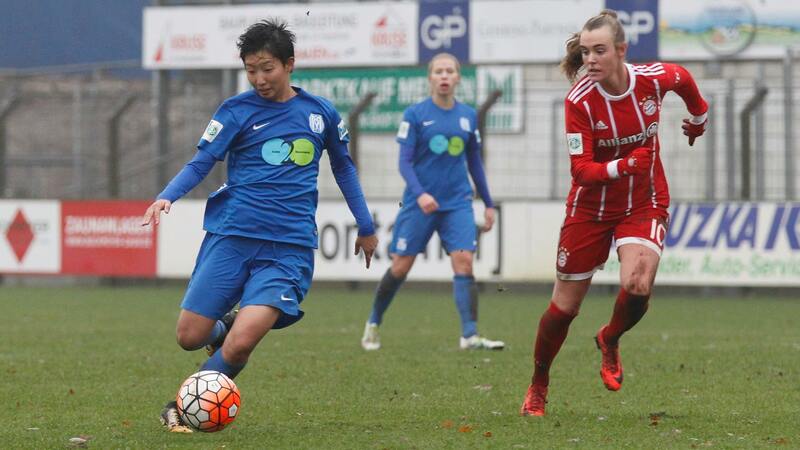 Shiho Shimoyamada plays for SV Meppen, a second-tier team for the German Bundesliga. She is also the teams’ only openly lesbian player on the roster and has chosen to come out to help increase the visibility and representation of LGBT athletes, specifically in Japan. She hopes to increase representation and help normalize the LGBTI sports community in Japan by the 2020 Summer Olympic Games. Shimoyamada has received a lot of support from Pride House Tokyo which is a project to host a space as well as educational events, workshops, seminars and social events for LGBT athletes at the 2020 Summer Olympic Games. She says she always felt an attraction to women since high school and found that there were a lot of women in soccer who felt the same as she did which helped her affirm her sexual identity. Despite this, Shimoyamada decided not to reveal her sexual orientation to her teammates, choosing only to confide in close friends who accepted her unconditionally. “They don’t perceive a LGBT player as special. I can play just as a soccer player here, and I feel comfortable in such a relationship,” Shimoyamada said. While the International Olympic Committee has ensured that sexual orientation is listed on the non-discrimination clause in the Olympic Charter since 2014. As well several international sports organziations have written guidelines to ensure inclusion of athletes regardless of sexual orientation or gender identity. Japan has yet to have any sports organizations make such a declaration themselves. That is something that Pride House Tokyo and Shimoyamada are hoping to change.